Debt consolidation is a big business in the U.S. Many people believe it’s a great tool to use for getting out of debt. 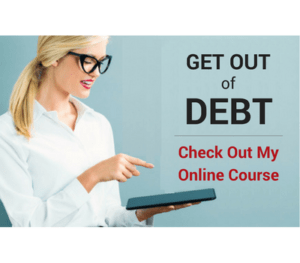 But is debt consolidation really a good option for people that are deep in debt and need a solution for getting rid of debt for good? 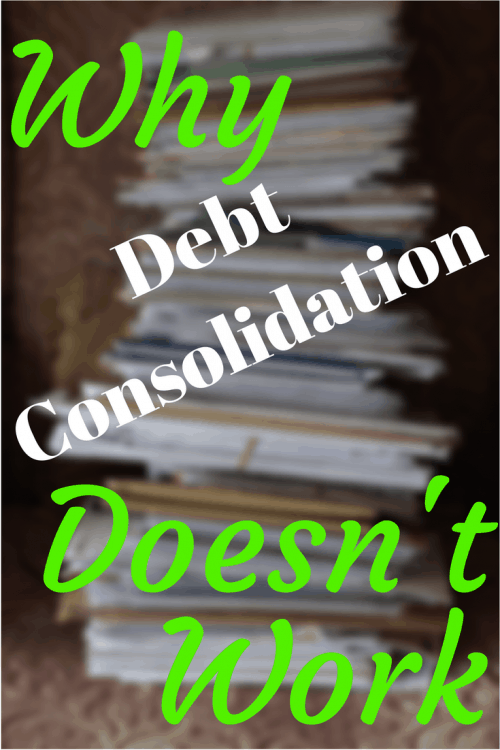 In this article, I’ll show you exactly what debt consolidation is, why I believe it’s not a good idea, and what other options you have for getting out of debt that will work much better. 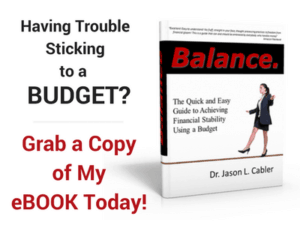 I’ll also provide you with a list of great resources to help get you moving in the right direction so you can get out of debt for good. Do It Yourself- Take out a personal loan or a home equity loan to pay off all your outstanding debt, whether that's student loans or credit card bills . You might be able to get a lower interest rate, and you’ll only have one payment to make each month as opposed to many payments on multiple loans. Hire Someone to Consolidate Your Debt- Pay a debt consolidation company to handle your debt payments for you. They negotiate “better” terms with your creditors, and you pay them one lump sum debt payment every month plus their fee. Then they pay your creditors for you. At first blush, debt consolidation can seem like a good idea, especially if you’re in a desperate financial situation. But here’s the deal- Consolidating your debt doesn’t really solve your problem in the long run. In fact, it will cost you more money. Let’s explore why below. When you consolidate debt on your own by taking out a loan, it may lower your payment, but it does nothing to change the behavior that got you into debt in the first place (more on that later). And if you use a home equity loan to consolidate your debt (God forbid), you’re putting your house at risk, which is an unwise move. If you hire a debt consolidation company to help you with the process, they will negotiate new terms with your creditors, which will save you several hundred dollars a month on your debt payments. What they usually don’t tell you is that even though they might be able to get some of your interest rates lowered, the main method they use to get your payments lowered is to extend the payoff time of your loans. The net result is that instead of being able to pay off your debt in, let’s say, 2 years, it will now take you 5-6 years. Because of that, you actually end up paying a lot more money in interest and monthly fees because of the extended payoff time. In the end, you end up paying thousands extra in interest and fees to have your debt consolidated. There is one more pitfall to using debt consolidation that you don’t always hear about, and in my opinion, it’s the biggest pitfall of all. When it comes down to it, if you want to get out of debt, there has to be a change in your behavior when it comes to money. Most people that are deep in debt get there over a long period of time by financing their life through credit, car payments, and other forms of consumer debt that added up over time until it became difficult to manage making the payments (sound familiar?). Debt consolidation does absolutely nothing to address how you got into debt in the first place, and statistics show that the majority of people that go through debt consolidation get back into debt soon after. It’s because there is no behavior change involved in the process. You have to get so mad at your debt that no matter what happens, you swear you’re never going back. You have to get your emotions involved and get intense about your decision to get out of debt. Then you have to get naked. Yes, I know that sounds a little strange. Getting naked simply means that you’re going to go naked with credit. It means that you now recognize credit is not your friend, and that you’re going to swear off using credit for good. Just like being naked and exposed, not using credit is uncomfortable at first. But once you learn to use only cash to finance your life, things start to change, and you discover that you just don’t need that credit you once thought was so necessary. Yes, you can still be prepared for emergencies without a credit card. You can still buy a car without a loan. You can still have everything you need using cash. Join Me In My Nakedness! Sorry, I don’t mean for that headline to sound creepy! I haven’t used credit in almost a decade now, and it’s one of the best decisions Angie and I ever made! You can join me and thousands of others on the debt free journey by simply having a plan. It doesn’t take any special talent or ability, it just takes time, hard work, and a willingness to make your situation better, no matter what it takes. And of course, if you want a much more in depth teaching on how to make a plan to get out of debt, how to get your spouse on board financially, change your family tree, change your behavior with money, and more, you can check out the Celebrating Financial Freedom Online Course. You can even sign up for the free mini course! When it comes down to it, debt consolidation rarely works to get you permanently out of debt, but having a plan does. I’ve been there, made a plan, and got it done. I know you can do it too! Question: Have you ever tried debt consolidation? What kind of experience did you have? But DIY consolidation can make a huge difference in paying off your balance instead of throwing more cash away to high interest rates. Consolidating my debt is a big reason I was able to pay off $14,000 of credit card debt in 7 months. From my perspective, it’s more about behavior change than anything else. Let’s face it, you’re the exception, not the rule. Most people who consolidate end up either using a suspect company that charges huge fees, or continuing to rack up more debt because they don’t change habits. Certainly if you have the knowledge and discipline to do it yourself, it can be done. It’s been my experience that that doesn’t happen as often though. Debt consolidation has advantages; you must recognize that by extending the time to pay off your debts, you will eventually be spending more in interest charges. Also, once get consolidation loan, you should consider closing some of your credit cards accounts so that you can’t simply run up your bills again. This allows you not only to save money but also to lower your monthly payment. My opinion is that it’s wise to close all of your credit accounts so you don’t run up your bills again. If you don’t use credit at all, then you won’t get back into debt, period! All the people I know personally who have gone the debt-consolidation route have gone deeper into debt because the urgency of the financial stress was lifted and the old behaviours continued. 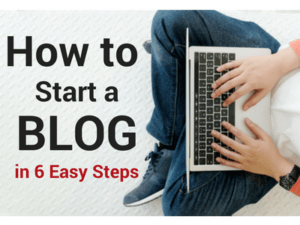 I follow Travis’ blog, however, and he and his wife have made a success of this approach. The take-away here is that his debt relief company offered some effective education to help change financial habits. We’re paying our debts off without consolidation, and one benefit of that method is that there is a real sense of celebration after each debt gets eliminated. It’s encouraging – good for debt-reduction psychology. With one big consolidated debt, those celebratory milestones would be less noticeable I think. Yes, I think those celebratory milestones are important to motivate you to keep going. In the end, no matter how you tackle getting out of debt, if your behavior with money doesn’t change, then you won’t stay out of debt very long. Old habits die hard! I’m sorry, my friend, but I will respectfully disagree. My wife and I eliminated $109,000 in credit card debt using a debt management plan – also referred to as debt consolidation. Had we continued to make our minimum monthly payments, it would have taken us over 30 years to pay off our debt (credit card minimum payment trap). By negotiating lower interest rates and a monthly payment with our creditors the timeline to pay off our debt was about 5 years. 55 months to be exact. I will admit that by itself the payment process does not address the behavioral issues that got us in debt. However, our debt relief company provides budgeting tips and tools to learn how to handle finances correctly. We did have to put in the work to utilize those tools, however. But if you’re willing to put in the effort, debt consolidation WORKS. HaHa, I knew that if I only got one comment on this post it would be from you! I know you and Vonnie have done well with your debt consolidation, however I think you guys are the exception rather than the rule. I believe the majority of people don’t address the behaviors that got them into debt in the first place. Then when they consolidate and get a little breathing room financially, they continue the same habits and end up even deeper in debt. Most consolidation companies don’t provide any substantive education for their clients on how to get rid of their debt for good. I do believe that is changing though, and there are more companies out there offering that kind of help in addition to their consolidation services. Too many people are looking for the quick fix and don’t want to put in the hard work like you have. It’s that hard work that makes all the difference! This dialogue is a perfect illustration of the illusory superiority effect (a bias that causes people to overestimate their positive qualities, and underestimate their negative ones). Credit marketers rely on this common behavior. Many people taking out debt consolidation loans may see themselves handling the program just like Travis. But in the end they are overestimating their resolve, and end up just as Jason describes. Never heard of the “illusory superiority effect” before. Just a fancy name for “human nature” I guess. Of course, marketers study the heck out of human nature, and that’s why they are so effective. When you can leverage human behavior to sell your product, you obviously will become more successful selling that product.